Mr. B and I are moving to Pentagon City . 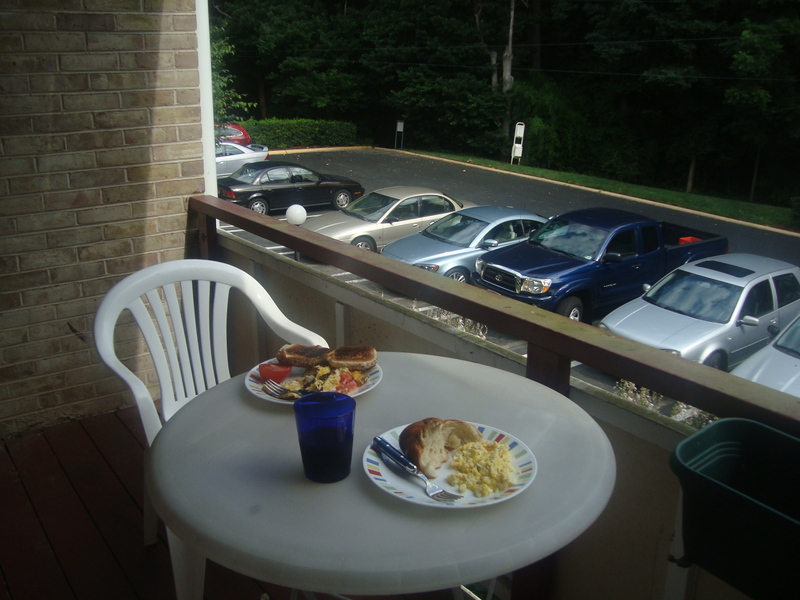 I’m pretty sad, because I love our apartment and the fact that we were 20 minutes away from DC but could eat breakfast on our balcony facing the woods.We’re moving because it doesn’t serve the right purpose for us anymore. What I love most about it is that we lived the first two years of married life here, instead of communal-Soviet-style with our parents in the same one-bedroom apartment that was built during the Khruschev administration, like my parents and Mr. B’s parents did. We lived sans parental interference and, in doing so, established a pretty solid foundation for decision-making in our marriage which will last us for years to come. 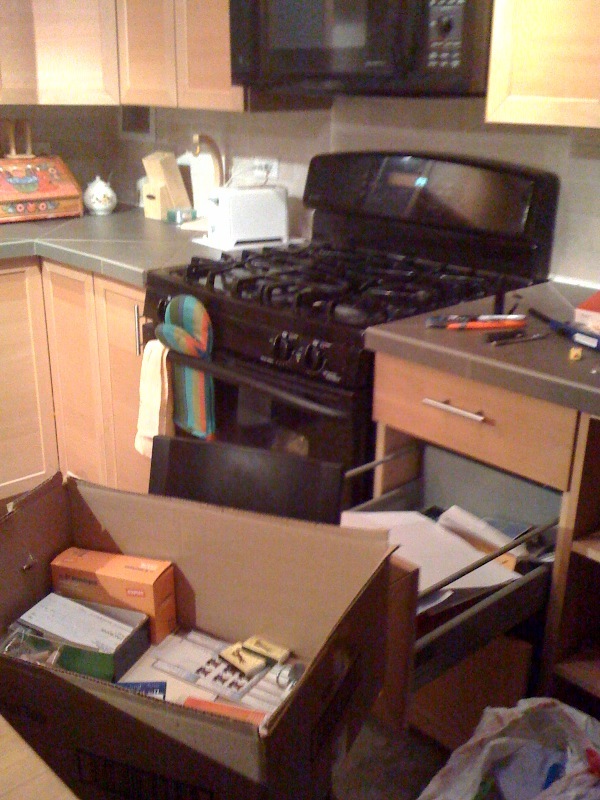 What is hard right now, though, is the clutter. Oh, the clutter. 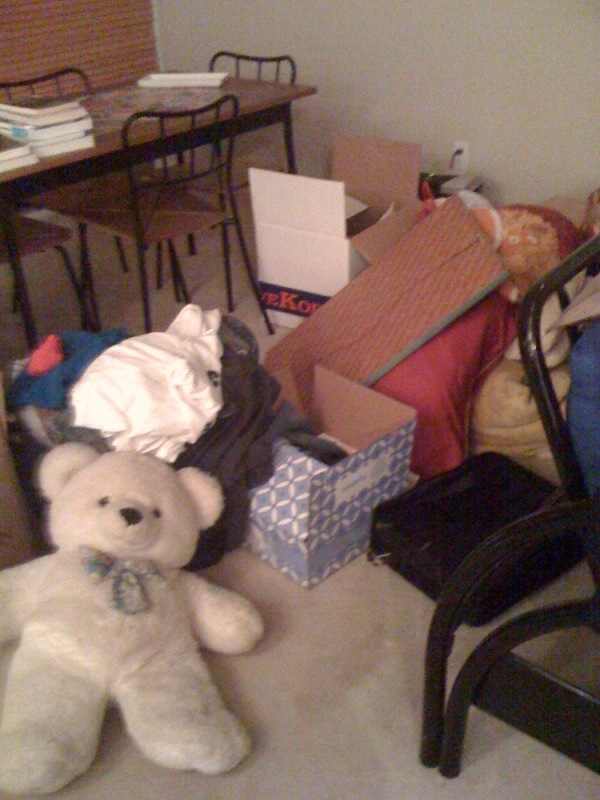 I knew that we’d be moving eventually, so I tried to keep the apartment as sparse as possible, free of crap. Unfortunately, I’ve somehow failed, because we’ve been packing for two days now, mercilessly throwing stuff away left and right, with no end in sight. “We’re hoarders,” Mr. B said. Hoarders who still own unusually large bears named Luke that they’ve had since they were 11. Also paintings that they bought at flea markets for $5 and can’t get rid of. The hardest thing for me is to let go of are things I’m emotionally attached to, or things that people have given me as presents that I HATE, but that I can’t throw away because, what if they ask about them? On the one hand, I’m extremely flexible (because if I wasn’t, I would probably be going insane over the fact that we have spent maybe a total of 10-15 weekends in DC over the past two years in our traverse between my parents and Mr. B’s. ) This is probably because I have Mongol blood. 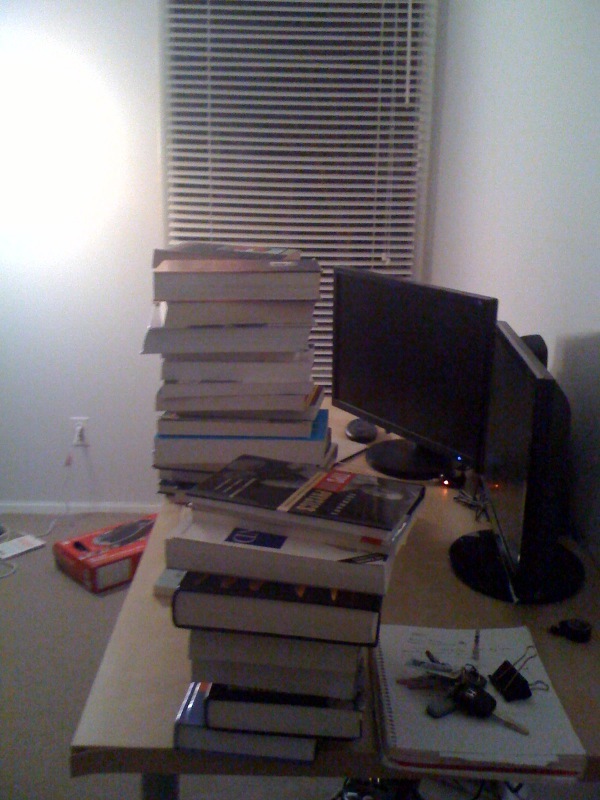 But, on the other, how can I ever, ever, ever give up any of my books?